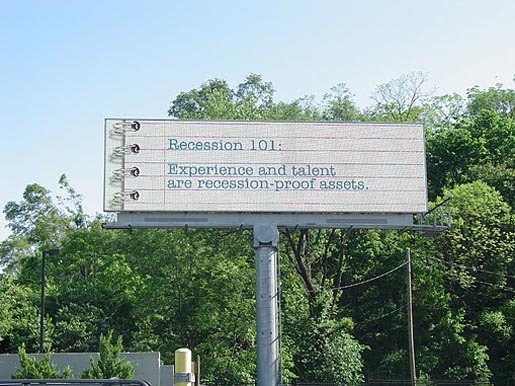 The Outdoor Advertising Association of America is overseeing an inspirational advertising campaign providing an optimistic take on the global financial crisis. 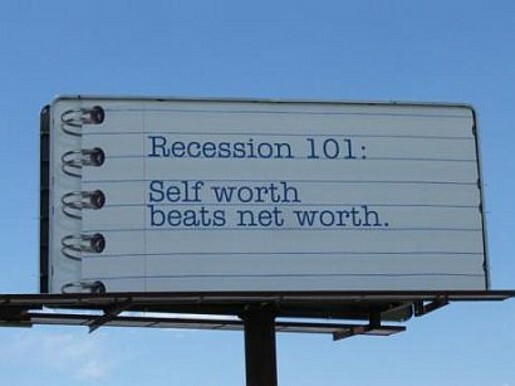 The Recession 101 messages are being presented on backdrops designed to look like lined notepad paper, mounted on digital billboards, traditional billboards, posters and street furniture. 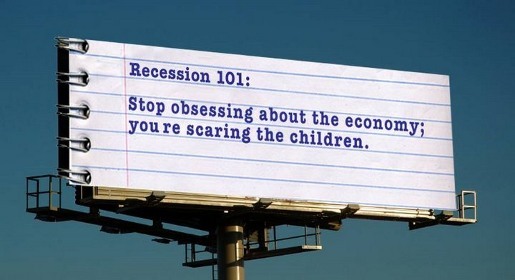 The economic “lessons,” which include such catchphrases such as “self worth beats net worth,” and “stop obsessing about the economy, you’re scaring the children,” started going up in May and now number around 2,000 postings across the country. 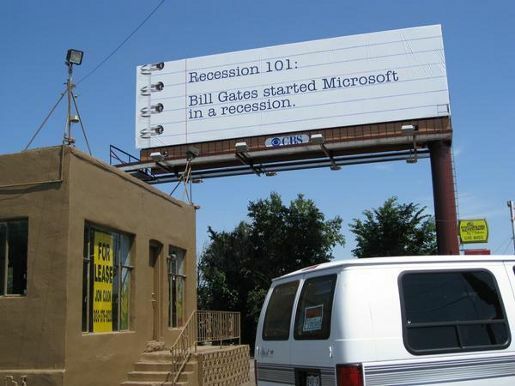 Recession 101 is a light hearted and succinct reminder to everyone that the nation will get through these troubled times and come out in the end. Members of the OAAA have donated printing, materials and billboard space, while the private anonymous donor has paid for the campaign’s design. The campaign is being developed by Charlie Robb, from Charchin Creative, Port Saint Lucie, Florida. Robb was also involved in the Messages from God billboard campaign of 1999 which also was sponsored by an anonymous donor.